Associated notions: Designforschung, design methods, design methodology, design theories and methods, design science, design thinking, design cognition, design studies. For national conferences and symposia see Initiatives. Further conferences: The Design Method, Birmingham 1965 (Gregory 1966); Portsmouth 1967; Cambridge MA 1969; Manchester 1971 (DRS); London 1973 (DRS); New York 1974; Berkeley CA 1975; Portsmouth 1976 (DRS); Istanbul 1978 (DRS); Design: Science: Method, Portsmouth 1980 (DRS); Bath 1984 (DRS). DRS conferences relaunched in 2002 (see below). EAD biannual conferences, biennial: Salford 1995; Stockholm 1997; Sheffield 1999; Aveiro 2001; Barcelona 2003; Bremen 2005; Izmir 2007; Aberdeen 2009; Porto 2011; Gothenburg 2013; Paris 2015. Designing Design Research conferences: Leicester 1995; Leicester 1998; Leicester 2003; London 2004. Organised by De Montfort U Leicester (Alec Robertson) and DRS. Doctoral Education in Design (DED) conferences: Ohio State U 1998 (organised by Design Issues); La Clusaz FR 2000 (sponsored by DRS; proceedings, ); Tsukuba JP Oct 2003 (proceedings); Tempe AZ 2005. Two of the participants of the 1998 conference, David Durling and Keith Russell, founded the PhD-Design listserv (1998), which is still running today. See Margolin 2010. DRS biennial conferences: Common Ground, London 2002; Future Ground, Melbourne 2004; Wonder Ground, Lisbon 2006; Undisciplined!, Sheffield 2008; Design &, Montreal 2010; Research: Uncertainty, Contradiction and Value, Bangkok 2012; Design's Big Debates, Umeå 2014. Proceedings. IASDR biennial conferences: Taiwan 2005; Emerging Trends in Design Research, HongKong 2007; Design / Rigor & Relevance, Seoul 2009; Diversity and Unity, Delft 2011; Consilience and Innovation in Design, Tokyo 2013; Interplay, Brisbane 2015. Nordes: Nordic Design Research biannual conferences: In the Making, Copenhagen, 2005; Design Inquiries, Stockholm, 2007; Engaging Artifacts, Oslo, 2009; Making Design Matter, Helsinki, 2011; Experiments in Design Research, Copenhagen, 2013; Design Ecologies, Stockholm, 2015. Proceedings. Nordes also organises Summer schools. Structured according to primary focus. International Association of Societies of Design Research (IASDR), est. 2005. Conferences. DDSS: Design & Decision Support Systems, Eindhoven University of Technology. Conferences (biannual, since 1992). OCEAN Design Research Association, Oslo; est. 1994; founding chairman Michael U. Hensel. Conferences and symposia. Publications. Design Society, Bristol, est. 2000. Preceded by the WDK (Workshop Design-Konstruktion) Society. Holds Engineering Design conferences (ICED) since 1981. ICSID: International Council of Societies of Industrial Design, est. 1957; president Brandon Gien. Congress. Nordcode: The Nordic network for research on communicative product design, est. c2002. Initiated by researchers from the department of Industrial Design Engineering at Chalmers U Gothenburg and the "Meaning of Form" research group at TAIK Helsinki. Holds seminars since 2003. Systemic Design Research Network (SDRN), Oslo School of Architectural and Design (AHO); est. 2011; dir. Birger Sevaldson, Peter Jones, Harold Nelson, and Alex Ryan. RSD symposia (annual, since 2012). Publications. Associação de Ensino de Design do Brazil (AEnD-BR), est. 1988 as Associação Brasileira de Design (ABnD). P&D Design conferences (biannual, since 2004). Design Education in the Netherlands hosted by the Design Systems group of Eindhoven University of Technology; est. c1995. Symposia (every 5 years). Proceedings. Deutsche Gesellschaft fuer Designtheorie und -forschung (DGTF) [German Society for Design Theory and Research], est. 2002, chair Gesche Joost (since 2008). Conferences (annual, since 2003). Publications. Danish Centre for Design Research (DCDR), Copenhagen, 2003-2012. An umbrella organisation under the Danish Ministry of Science, Innovation and Higher Education for design research at AA Aarhus, DSK Kolding and KADK Copenhagen. Publications. Swiss Design Network (SDN), est. 2003. Symposia (annual, since 2004). Publications. European Academy of Design at Yaşar University, Izmir; est. 1994. Publishes The Design Journal. Helen Hamlyn Centre for Design at Royal College of Art, London; est. 1999; founding dir. Roger Coleman and Jeremy Myerson. Preceded by the DesignAge action research unit (1991-98). Swedish Faculty for Design Research and Research Education at KTH Royal Institute of Technology; est. 2007; dir. Maria Hellström Reimer. Formerly the Center for Research in Design. Institute of Design Research Vienna (IDRV), est. 2008; founding dir. Harald Gruendl. IDE: Institut für Designforschung at Zürcher Hochschule der Künste (ZHdK), Zürich; est. 2011; founding dir. Gerhard Buurman. Center for Design Research: dR at Oslo School of Architecture and Design; founding dir. Andrew Morrison. Institute of Experimental Design and Media Cultures (IXDM) at Academy of Art and Design (FHNW) Basel; est. 2014; dir. Claudia Mareis. MA Communication Design, Bern University of the Arts (HKB). 2015 conference. Design Research Unit (DRU), started by art critic Herbert Read in 1942, following his Art and Industry (1934). Other core founding members included art collector and advertising executive Marcus Brumwell, architect Misha Black, and industrial designer Milner Gray. See Cotton 2011 . Design Research Laboratory at U Manchester Institute of Science and Technology, a postgraduate programme founded by John Chris Jones. Jones co-organised the 1962 Design Methods Conference. Industrial Design Research Unit (later Department of Design Research) at Royal College of Art, London. Head: L. Bruce Archer (1964-c84). See Archer 1981. Design Methods Group at UC Berkeley; started 1967 by Horst Rittel, architect Christopher Alexander, architect Henry Sanoff. Published Design Methods Group Newsletter (1966-72), DMG-DRS Journal (1972-75), Design Methods and Theories (1976-90), and since c1992 Design Methods. Design, Theory, and Methods Group (DTM) at MIT; est. 1982. Started as a group of professors in the MIT School of Architecture and one from the School of Engineering, including engineer Louis Bucciarelli, architect Donald Schön and Patrick Purcell. See Demes et al 1993. Design2context at School of Art and Design Zurich, 2004-c2012; dir. Ruedi Baur. 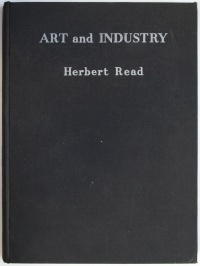 Read, Art and Industry, 1934, Log, PDF. Simon, The Sciences of the Artificial, 1969/1996, PDF. Herbert Read, Art and Industry: The Principles of Industrial Design, London: Faber and Faber, 1934; New York: Harcourt, Brace and Company, 1935, PDF. (English) Inspired the foundation of Design Research Unit in London (1942). 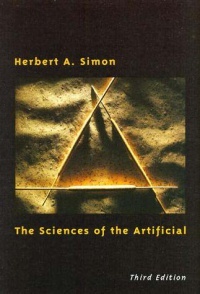 Herbert A. Simon, The Sciences of the Artificial, MIT Press, 1969; 3rd ed., 1996. Based on his Crompton Lectures at MIT 1968. (English) Inspired the foundation of Design Research Center at Carnegie Mellon U (1974). John Chris Jones, Design Methods, John Wiley and Sons, 1970; 2nd ed., rev., Van Nostrand Reinhold, 1992; repr., John Wiley and Sons, 1998. (English) Review: Clarke (1983). See also other texts by and about the Ulm School of Design, Tomás Maldonado, L. Bruce Archer, John Chris Jones. In chronological order according to the first issue published; no longer active journals are included as well. Visible Language, ed. Mike Zender, University of Cincinatti, since 1967. Open access. List of special issues. Computer-Aided Design (CAD), ed. V. Shapiro, since 1968. Subscription access (Elsevier). Applied Ergonomics, eds. P. Carayon and K.C. Parsons, since 1970. Subscription access (Elsevier). DMG-DRS Journal: Design Research and Methods, San Luis Obispo, CA: J. Protzen, 1972-75. The journal of Design Methods Group and London's Design Research Society. DMG earlier published DMG newsletter (1966-72). Design Methods and Theories, San Luis Obispo, CA: Design Methods Group, 1976-90. Continued by Design Methods: Theories, Research, Education and Practice, San Luis Obispo, CA: Design Methods Institute, since c1992. Design Studies: The Interdisciplinary Journal of Design Research, ed. Nigel Cross, London: Design Research Society, since 1979. Subscription access (Elsevier). Information Design Journal (IDJ), ed. Carla G. Spinillo, since 1979. Subscription access (Benjamins). Design Issues, eds. Bruce Brown, Richard Buchanan, Carl DiSalvo, Dennis P. Doordan and Victor Margolin, Chicago: University of Illinois, since 1984. Subscription access (MIT). Human-Computer Interaction, ed. Steve Whittaker, since 1985. Subscription access (Taylor & Francis). AI EDAM: Artificial Intelligence for Engineering Design, Analysis and Manufacturing, ed. Yan Jin, since 1987. Subscription access (Cambridge). Journal of Design History (JDH), ed. Cheryl Buckley, London: Design History Society, since 1988. Subscription access (Oxford). Research in Engineering Design, ed. Yoram Reich, since 1989. Subscription access (Springer). Interacting with Computers (IWC), eds. Dianne Murray, since 1989. Subscription access (Oxford). Design Management Review, ed. Susan Bencuya, since 1989. Until 2003 as Design Management Journal. Subscription access (Wiley). Eye, ed. John L. Waters, Haymarket, since 1990. Journal of Engineering Design, ed. Alex Duffy, since 1990. Subscription access (Taylor & Francis). Digital Creativity, eds. Lone Malmborg and Julia Sussner, since 1990. Formerly Intelligent Tutoring Media (1990-97). Subscription access (Taylor & Francis). International Journal of Technology and Design Education, ed. Marc J. de Vries, since 1991. Subscription access (Springer). Languages of Design, ed. Raymond Lauzzana, 3 issues, 1993. IX Interactions, eds. Ron Wakkary and Erik Stolterman, New York: Association for Computing Machinery, since 1994. Open access. International Journal of Design (IJD), ed. Lin-Lin Chen, since 1997. Open access. The Design Journal, European Academy of Design, since 1998. Subscription access (Bloomsbury). IDEA Journal: The Journal of the Interior Design/Interior Architecture Educators Association, ed. Suzie Attiwill, Brisbane: Queensland University of Technology, since 1999. Open access. International Journal of Design Sciences & Technology (IJDST), eds. Reza Beheshti and Khaldoun Zreik, Paris: Europia, since 2001. Continuation of STC. Open access. Journal of Design Research (JDR), eds. Ina T. Klaasen and Renee Wever, since 2001. Subscription access (InderScience). Design Philosophy Papers (DPP), ed. Anne-Marie Willis, since 2003. Subscription access (Taylor & Francis). CoDesign: International Journal of CoCreation in Design and the Arts, ed. Janet McDonnell, since 2005. Subscription access (Taylor & Francis). Design Research Quarterly (DRSQ), London: Design Research Society, since 2006. Open access. Artifact, ed. Charlie Breindahl, Copenhagen: Royal Danish Academy of Fine Arts, since 2007. Open access. International Journal of Design Engineering (IJDE), ed. Daizhong Su, since 2007. Subscription access (Inderscience). Craft Research, eds. Kristina Niedderer and Katherine Townsend, since 2010. Subscription access (Intellect). International Journal of Designs for Learning, ed. Elizabeth Boling, Association for Educational Communications and Technology, since 2010. Open access. Journal for Artistic Research (JAR), Bern: Society for Artistic Research, since 2011. Open access. Anti-po-des: Journal of Design Research, New Zealand, since 2011. Open access. Journal of Remanufacturing, ed. Winifred Ijomah, since 2011. Open access. Swedish Design Research Journal, ed. Eva-Karin Anderman, Stockholm: Swedish Industrial Design Foundation, since 2012. Open access. International Journal of Design Creativity and Innovation, eds. Toshiharu Taura and Yukari Nagai, since 2013. Subscription access (Taylor & Francis). Journal of Textile Design Research and Practice, since 2013. Subscription access (Bloomsbury). According to the Friedman et al 2008 study: DS, DI, IJD, TDJ, JDH, JDR, JED, CoDesign, Artifact, IJDE. According to the Gemser et al 2012 study on industrial design research journals: DS, DI, Human Factors, JDH, HCI, AE, JED, IJD, CAD, RED. For conference proceedings see Events. Mapping Design Research, DGTF, 2014. Design Methods Toolkit by MediaLab Amsterdam, 2015. This page was last modified on 10 December 2017, at 15:47. This page has been accessed 27,782 times.